United Co. Rusal, the global aluminum major has reported 26% decline in profits during the third quarter of the year. The company noted that the aluminum sector across the globe is still under significant pressure. Also, weaker demand from emerging markets has dented demand growth prospects during 2015. The capacity additions in the Middle East, India and China have also impacted the sector. The statement issued by the company stated that its Q3 EBITDA fell sharply from $568 million during the previous quarter to $420 million during third quarter of 2015. Also revenue dropped by 9% to $2.07 billion. The profits fell sharply due to the sharp decline in alloy prices, the company noted. According to Vladislav Soloviev, CEO of Rusal, the higher-than-expected market surplus has resulted in huge decline in prices and premiums. The prices of aluminum have declined by nearly 19% since the beginning of the year. 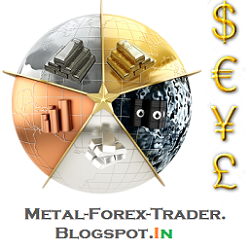 The global aluminum market faced significant pressure during the quarter gone by, he added. Rusal has trimmed its global aluminum demand forecast for 2015. The company has lowered the forecast to 5.6% from the earlier predicted 6%. Also, it sees no ending to surplus capacity in market. The surplus forecast for 2015 has been raised to 373,000 metric tons. The company in its September review had hinted at cutting output by 200,000 tons, if the prices fail to recover. Despite falling domestic prices, the pace of capacity closures remained slow in China. However, the closures are likely to pick up in 2016. The company expects rapid closures during next year as the new five-year development plan unfolds. 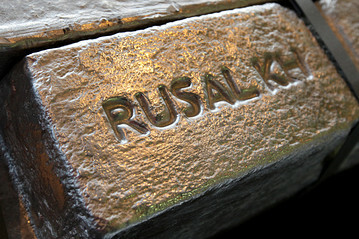 RUSAL is a leading, global aluminium producer. The company’s main products are primary aluminium, aluminium alloys, foil and alumina . RUSAL operates in 19 countries on 5 continents.